Marco Casagrande, Sustainable Urbanism New Directions Workshop, 21 March 2016, University of Qatar, © Qatar University. Through ‘acupuncture points’, Urban Acupuncture seeks to be in contact with site-specific local knowledge. By its nature, Urban Acupuncture is pliant and organic and relieves stress and industrial tension in the urban environment – thus directing the city towards the organic: urban nature as part of nature. Urban Acupuncture produces small-scale, but ecologically and socially catalytic development on the built human environment. The Third Generation City is the organic ruin of the industrial city, an open-form, organic machine tied with local knowledge and self-organized community actions. 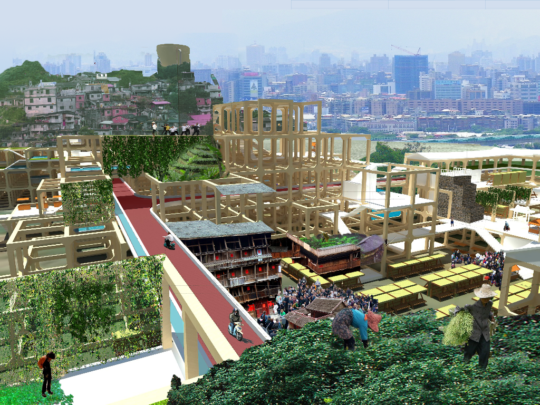 The community gardens of Taipei are fragments of third generation urbanism when they exist together with the industrial surroundings. Local knowledge is present in the city, and this is where Urban Acupuncture is rooting. The Third Generation City is a city of cracks. The thin mechanical surface of the industrial city is shattered, and from these cracks emerge the new biourban growth that will ruin the second generation city. Human-industrial control is opened up in order for nature to step in. A ruin is when manmade has become part of nature. In the Third Generation City we aim to design ruins. Third Generation City is true when the city recognises its local knowledge and allows itself to be part of nature. Paracity, a biourban organism building on the principles of Open Form: individual design-build actions generating spontaneous communicative reactions on the surrounding built human environment and this organic constructivist dialogue leading into self-organized community structures, development and knowledge building. The growing organism the Paracity is based on a three dimensional wooden primary structure, organic grid with spatial modules of 6 x 6 x 6 metres constructed out of CLT cross-laminated timber sticks. This simple structure can be modified and grown by the community members working as teams or by an assigned Paracity constructor. © Casagrande Laboratory. Paracity is a biourban organism building on the principles of Open Form: individual design-built actions generating spontaneous communicative reactions on the surrounding built human environment. This organic constructivist dialogue leads to self-organized community structures, sustainable development and knowledge building. Casagrande Laboratory. © Casagrande Laboratory. Open Form is close to the original Taiwanese ways of developing the self-organised and often “illegal” communities. These micro-urban settlements contain a high volume of local knowledge, which we believe will start composting in Paracity, once the development of the community is in the hands of the citizens. Marco Casagrande is a Finnish architect, biourbanist and social theorist. He is the principal of the Casagrande Laboratory, an internationally operating architecture and innovation office based in Helsinki, Finland, and Vice-President of the International Society of Biourbanism. From the early stages of his career Casagrande started to mix architecture with other disciplines of art and science landing with a series of ecologically conscious architectural installations around the world. In his view, ‘there is no other reality than nature’, and architects are design shamans who merely interpret what the bigger nature of the shared mind is transmitting. He views cities as complex energy organisms in which different overlapping layers of energy flows are determining the actions of the citizens as well as the development of the city. 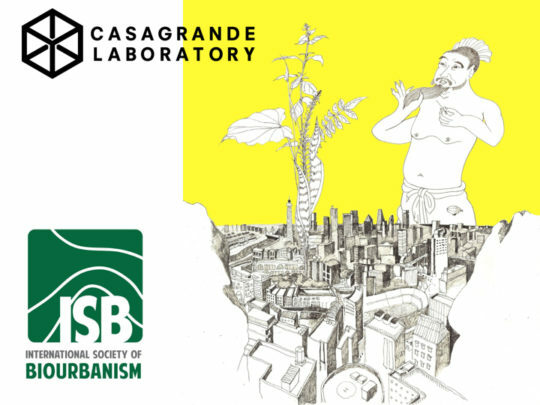 By mixing environmentalism and urban design he is developing methods of Urban Acupuncture in order to create an ecologically sustainable urban development towards the so-called Third Generation City. Casagrande has taught in 65 academic institutions in 25 countries and realized more than 70 works in 14 different countries.